The slatted chair is designed for comfortable home or restaurant dining. The curve of each slat is the same, yet they are positioned on the chair frame to provide a double curve for both the back and seat of the chair. The double curve supports the back comfortably and the double seat curve is sprung using nylon seat bars to adapt to the shape of the diner, giving a very comfortable seating experience. 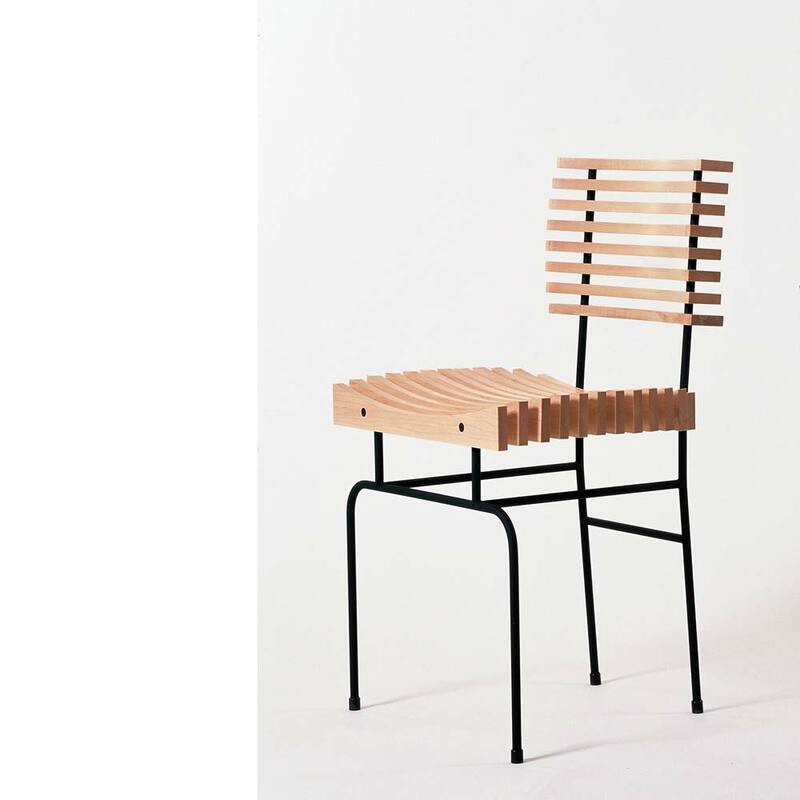 The slatted chair was shown at the New Designers in Business and Going Solo exhibitions in London in 1997, after which an edition of 25 chairs were made. The chair has also been displayed in the 'chair alley' of the London Design Museum. Dimensions: seat height 46cm, back height 82cm, width 45cm, depth 40cm. Limited edition no. 26 now available. The slatted chairs need to be made in batches of four or more. Please contact Colin to discuss any custom requirements and expected delivery times.